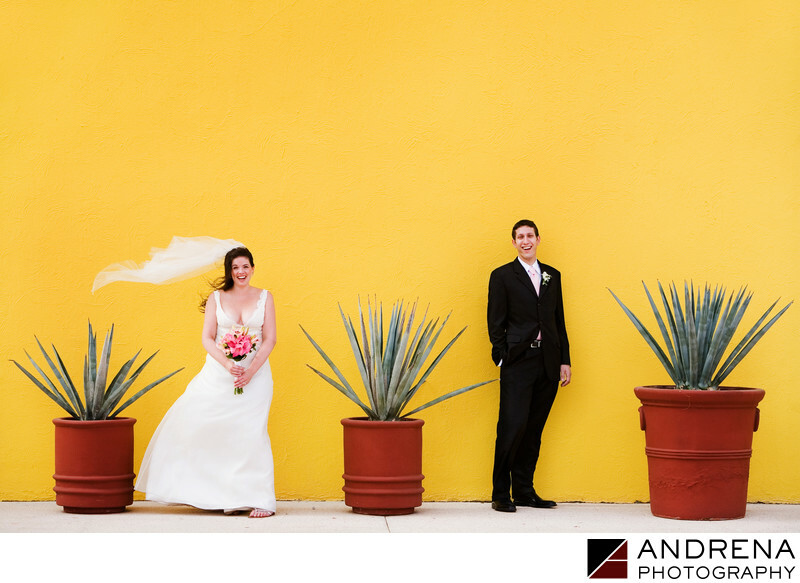 I love photographing weddings in Mexico, especially when I have a fun and energetic couple to work with. This Jewish wedding took place at Dreams Resort, though this portrait was taken at the Westin. I love photographing portraits in multiple locations, so when my couple has the energy, and we have the time, I always suggest going elsewhere. Of course, that's sometimes easier to do the day after a wedding. This couple's sunset ceremony was simple and elegant, with white-fabric covered chairs and a breathtaking view of the ocean as their backdrop. A Ketubah signing took place before the ceremony, and once they were pronounced husband and wife, the beachfront reception gave everyone a chance to party and enjoy the gorgeous surroundings. Destination wedding photographed at the Westin and Dreams Resort in Los Cabos, Mexico.